Our bodies and minds are naturally designed to serve us throughout our lives: We take in nourishment through food and drink, process information and sort through what is most important, and experience a deluge of emotions, which keeps life interesting. When we get adequate rest, drink plenty of fluids, eat healthy whole foods, allow emotions to flow naturally, and keep stress levels low, we can manage what life presents us more easily. In reality, most of us do not eat an ideal diet free of processed foods and rich in organic fresh fruits vegetables, hormone-free fish and meat, and whole grains. Many of us do not drink the eight 8-ounce glasses of fluid recommended by the Institute of Medicine. Some of us may have learned to block emotions and shut down rather than allow them to move through fully, so we stick to negative patterns or become numb. And while the body is designed to naturally remove toxins that enter through the air we breath, food we ingest, and experiences we face, today’s overwhelming pace of life and frequent ongoing stress make it difficult for the body and mind to do what they were designed to do. Detoxification is the body’s natural process of neutralizing, transforming, or clearing out unwanted materials or toxins. The liver, kidney, colon, lungs, skin, and lymph system all play essential roles in this process. As the major detoxifier of the body, the liver inactivates and removes harmful substances we ingest, including food additives, harmful minerals, toxic medication, and excess hormones. The kidneys filter out excess salt and waste from cell metabolism, in additional to regulating water fluid levels. The colon, also known as the large intestine, rids the body of leftovers from digestion in the form of solid waste (feces). Through exhalation, the lungs rid the body of carbon dioxide, a byproduct of breathing. 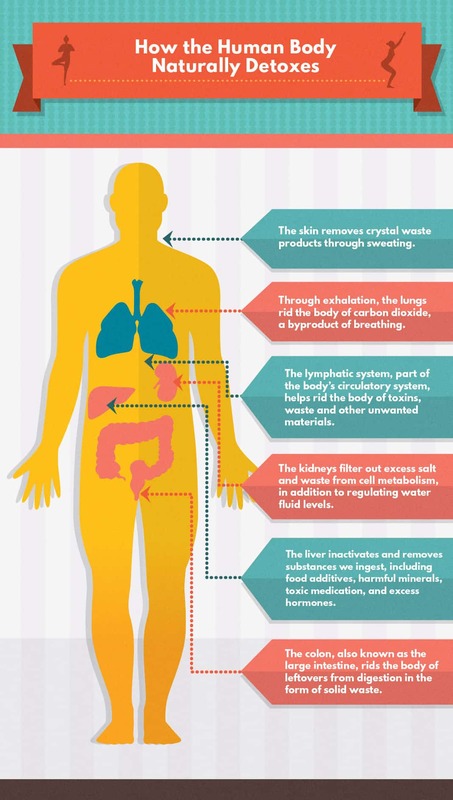 As the body’s largest organ, the skin removes crystal waste products through sweating. Finally, the lymphatic system, part of the body’s circulatory system, helps rid the body of toxins, waste, and other unwanted materials with the help of white blood cells. Detoxification isn’t just about ridding the body of physical toxins. Yoga, an ancient system of pranayama (breathing exercises), asana (postures), and meditation (mindfulness) can aid the body and mind to cleanse both physical and emotional excess. While all forms of yoga ultimately help the detoxification process, the following Kundalini kriyas (or exercise sets) and yoga postures are especially helpful. 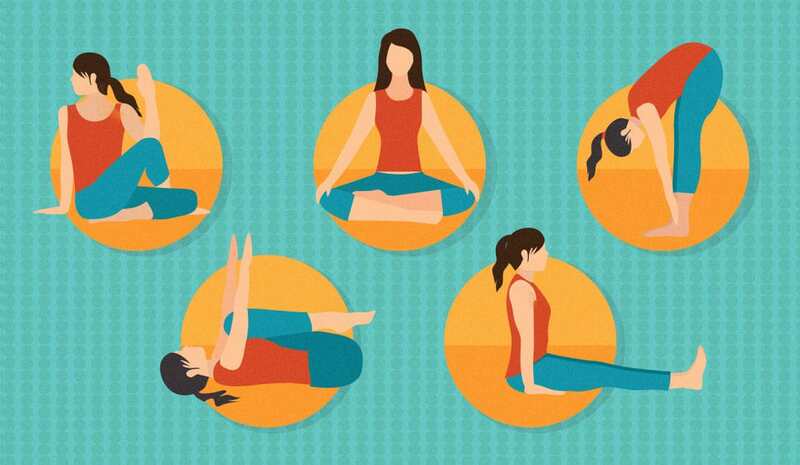 When practicing any form of yoga, stop immediately if you experience pain, modify the pose according to your body, move onto the next, or simply rest. Fryer recommends the following kriyas, as taught by Yogi Bhajan, to help the mind and body detoxify. During each exercise, focus on strong breath and movement. Lie down on the back with legs straight, heels together, and toes pointed upward. Spread the feet apart so they both point out to the sides, the right foot pointing to the right and the left foot pointing to the left. Close the feet so they once again point straight upward. Continue quickly opening and closing the feet, keeping the heels together. Continue this movement for 4 minutes. Detox details: This exercise detoxifies the leg channels associated with the spleen, liver, and kidney. Remain on the back and place the hands under the head. Lift the legs about two feet from the floor and scissor them up and down. Keep the legs straight at the knees and keep the heels from touching the ground. Continue this movement for 4 minutes. Detox details: When done vigorously, this exercise clears up inner anger. Lie on the stomach with the hands under the shoulders and the fingers spread wide. Tuck the elbows towards the sides of the body and stick out the tongue. On an exhale through the mouth, push up into Cobra Pose. On an inhale through the mouth, lower back down until the chin touches the ground. Continue this movement for 6 1/2 minutes. Detox details: This exercise removes toxins from the body by stretching the muscles around the liver. Turn over onto the back and draw the knees to the chest and take a moment to rest. As the knees touch the chest, raise the arms up to 90 degrees, keeping them parallel to each other. Straighten the legs and lower the arms and legs back to the floor at the same time. Maintain control as you move vigorously so there is no noise when the arms and legs touch the ground. Continue this movement for 3 minutes. Detox details: This exercise helps to eliminate emotional debris. Give yourself permission to experience your feelings. Sit in Easy Pose with the legs crossed, palms on the knees. Revolve the torso around the base of the spine in a counter-clockwise direction. Continue for 3 minutes, moving as quickly as you can during the last minute. Keep the eyes soft, with a downward gaze. Detox details: This exercise is especially good for detoxifying the organs of the abdominal region. Stand up, bend over, and grab the ankles. While holding onto the ankles, come into a squat with the legs shoulder width apart, feet flat on the ground, and the toes pointing outward. Continue to move between these two postures for 2 minutes. Detox details: In addition to assisting the body in eliminating toxins, this exercise invites the flow of love and compassion. Sit comfortably in Easy Pose with the spine straight. Chant “Sat Nam, Sat Nam, Sat Nam, Sat Nam, Sat Nam, Sat Nam, Wahe Guru,” with one full repetition of the mantra taking 7 to 8 seconds. Continue for 11 minutes. To finish, inhale deeply and stretch the arms overhead with the palms touching. Hold the breath 20 to 40 seconds while stretching the spine upward. Exhale. Repeat this sequence two more times. Flow through the following asanas to promote detoxification of mind, body, and emotions. When completing the following postures, breathe deeply through the nostrils and keep the breath smooth and flowing. This asana massages all the organs of digestion and elimination, including the kidney, liver, colon, and spleen, which is part of the lymph system. Sit with the legs extended, hands resting on the floor at your sides. Feel the bones of the pelvis connect down to the earth and lengthen through the spine, from the tailbone to the crown of the head. Bend the left knee and place the sole of the left foot to the inside of the right thigh. Tuck the right foot under the buttocks. Wrap the right arm around the left knee and pull the belly to the left with the left hand. Bring the left hand around behind you and place it near the buttocks. On an exhale, begin to twist deeper to the left first in the belly, then the chest, the neck, and the eyes. On the inhale, gently lengthen more from the tailbone to the crown of the head. Take several deep breaths, deepening your awareness into the sensations provided by the pose. To release, inhale the left arm to shoulder height and draw it forward, gently straighten the legs and shake them before repeating the twist to the other side. Note: If you cannot wrap the elbow around your knee, hold the raised knee with the opposite hand. You can also keep the bottom leg straight if bending it under the buttocks feels like too much of a stretch on the hip. This asana encourages good posture through lengthening the spine, allowing the lungs to fully expand and contract with each breath. Sit with the legs extended out in front of you. Place the palms flat on the floor beside the hips and press them into the ground, keeping the arms as straight as possible. Lengthen from the tailbone to the crown of the head, as if you had a zipper in front of and behind the spine. Draw the shoulder blades down the back and tuck the chin slightly. Flex the feet and engage the leg muscles. Take five deep breaths into the chest, noticing the expansion and contraction of the lungs. As an inversion, this pose places the head below the heart and encourages the lymph fluid to drain back to the heart via gravity. 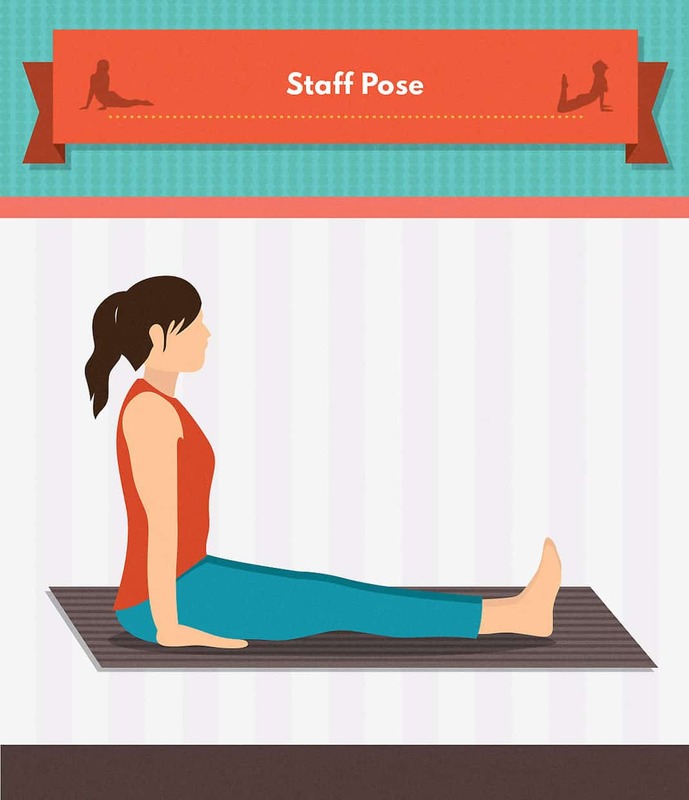 Place the short edge of the yoga mat, if you’re using one, against a wall. Place a folded blanket or bolster on the mat next to the wall. Sit sideways to the wall, on the bolster or blanket, with the hands behind you. 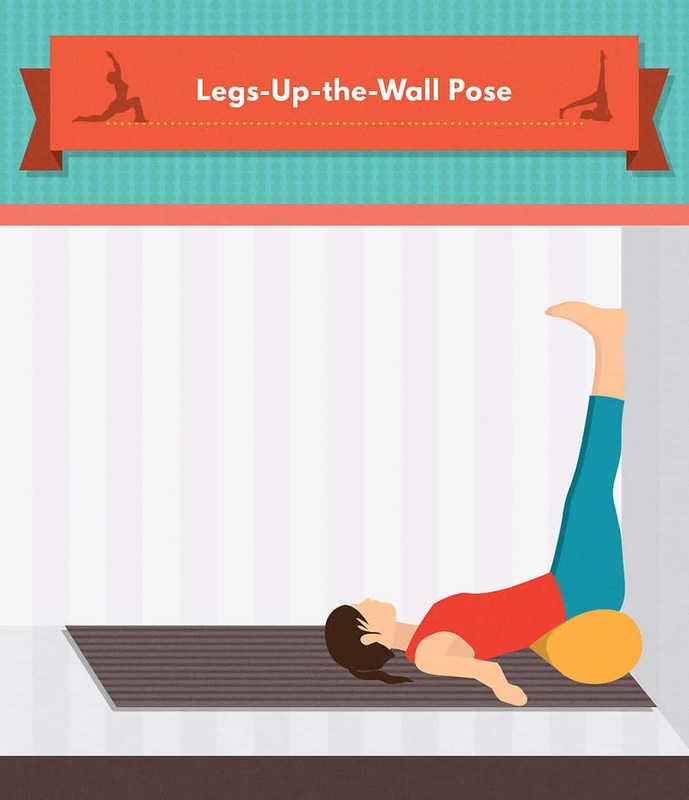 Shift the forearms onto the yoga mat and extend the legs up the wall. Allow the hips to sink into the bolster or blanket, the legs to rest against the wall, the eyes to close, and the face to relax. Remain in this position five to 15 minutes. To release, gently draw your knees into your chest and roll to one side. While we can’t always prevent stressful situations and harmful toxins from entering our systems, we can support the body’s natural detoxifying process through the age-old practice of yoga. Lori Batcheller, MA, CYT, MPT, LMT, is a certified Kripalu Yoga instructor and freelance writer living in Boulder, CO. When she’s not writing, teaching yoga, or offering bodywork at her private practice, she is outdoors enjoying the beauty of the Rocky Mountains. This article was very good written and presented. Very easy to digest and practice with little difficulty.